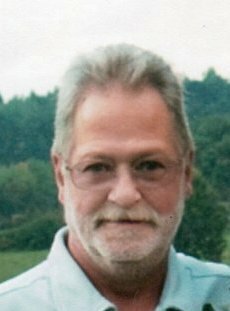 Barry L. Doverspike, age 62, of Brookville PA, passed away on Monday, August 27, 2018 at UPMC Hamot Hospital in Erie, PA.
Barry was born on June 27, 1956 in Clarion, PA. He was the son of the late Kenneth C. Doverspike and Ruby Smith Doverspike Hetrick, she survives in New Bethlehem. Barry was a graduate of Brookville Area High School. He was employed as a welder at Beverage-Air in Brookville since 1975. He was married to Debra D. Siple Allshouse on September 23, 2011 at the Roseville Church, she survives. He was a member of the Roseville Church. Barry was a member of the Brookville Firemen's Club. He enjoyed riding his motorcycle, fishing, tinkering with home projects, sprint car racing, and spending time with his grandkids, family, and friends. Along with his wife and mother he is survived by a daughter, Julie "Jay" Stamler of Rossiter; a son, Daniel Mowrey of Morrisdale; brothers, Kenneth A. "Deborah" Doverspike of DuBois, Kevin M. "Debra" Doverspike of New Bethlehem; a sister, Kathi "Craig" Wonderling of Summerville; grandchildren, Dalton, Cole, Geneva, Jenning, and Sydnee; and special aunt and uncle, James and Arlene Smith of Hawthorne. Also surviving are many relatives and friends and his dogs, Ruger and Onya, and a cat, Max. Along with his father he was preceded in death by a son, Gregory Mowrey; his step-father, Malcolm D. Hetrick; Paternal grandparents, Theodore and Ella Doverspike; maternal grandparents, Earl and Bernice Smith, and Faye and Lawson Young; and numerous uncles, aunts, cousins, and special pets. Per the family's wishes, there will be no public visitation. A private memorial service will be held at the convenience of the family with Pastor Jon Kerr officiating. A celebration of life will be held on September 8, 2018 from 2 - 6 PM at the Brookville Firemen's Club. Funeral arrangements are entrusted to the Furlong Funeral Home, 50 Broad Street, Summerville, PA.